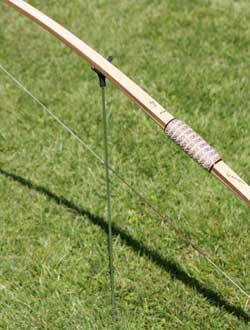 No-one wants to lay their favourite bow down in damp grass whilst scoring or retrieving arrows. 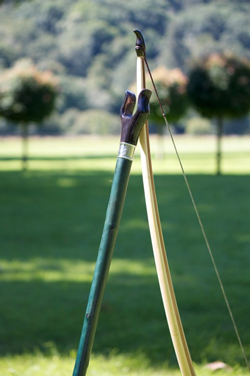 We have a range of bow rests to suit a variety of needs. A hand crafted bow stand that is both practical and attractive. Hinged joints to ensure it packs away neatly when not being used. 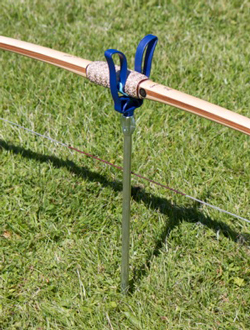 Ideal for keeping your bow off the damp ground and for displaying your favourite bow. 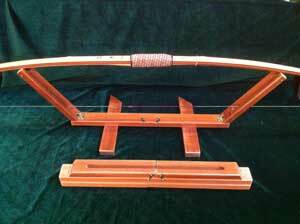 A beautiful folding bow stand in exotic hard wood. Handmade then polished and varnished to a luxurious finish. The opulent look and feel of these stands is enhanced by solid brass hinges and clips. Size when folded 50cm x 4.5cm x 6cm. Beautifully crafted from polished buffalo horn, a silver nickel collet and seasoned coloured ash. 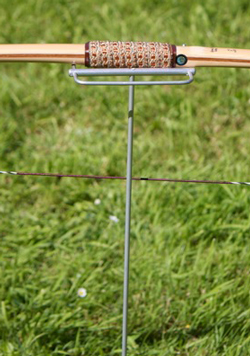 This is an attractive bow rest that protects your bow from the damp of the ground or from being accidently stood on. Also ideal for being used as a walking aid. For special gifts, these can be customised with individual engravings on the collet. The collet is also available in pure silver. Please contact us for further details if required. 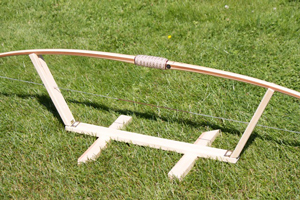 This would make an ideal present for any longbow archer. A lightweight ground quiver. Allows you to keep your bow off the ground and have your arrows close to hand. These small stands are perfect for resting your bow during a clout tournament. Ideal when a tree isn’t available or when you are involved scoring. 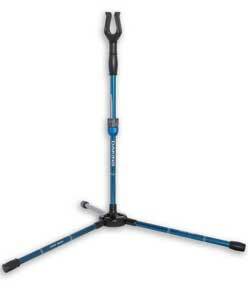 It slips neatly into your quiver and can be carried without being cumbersome.